On November 27, Prince Harry and Meghan Markle stood together hand-in-hand in the Sunken Gardens at Kensington Palace in London, England, and announced their engagement to the world. For Royal watchers and jewelry fans, it was the first glimpse of the stunning engagement ring designed by Prince Harry and created by Cleave & Company, Court Jewelers and medalists to her majesty, The Queen. Markle’s engagement ring features three white diamonds: a large center diamond, flanked by two smaller diamonds set in a yellow gold band. The stones were specially selected by the Prince—the central diamond is from Botswana, where the couple recently holidayed together, and the other two diamonds are from his late mother, Princess Diana’s, personal collection. According to diamond experts, a ring similar to Markle’s could retail between $300,000 to $350,000 if it were made of diamonds of the highest quality, or it could go for around a 10th of the price at $35,000 to $40,000 if the diamonds were of a poorer quality. However, Markle’s particular ring is being deemed priceless because of Prince Harry’s decision to include two diamonds that belonged to the late Princess Diana. Is yellow gold coming back? Prince Harry also said that the ring is yellow gold because it is Markle’s favorite. Is her ring and the Royal engagement helping to make yellow gold engagement rings popular? For the most part, yellow gold has never been that unpopular. For centuries, yellow gold has been considered the ultimate in luxury, going back to the ancient Egyptians. In the past decade, however, white metals — gold and platinum — have been the popular choice. Whether or not yellow gold is the current trend, when selecting your engagement ring, it’s important to base your decision on what you personally prefer. If you can’t decide, experts suggest that yellow gold typically complements warmer skin tones, while white complements cool skin tones. Wondering what other A-listers chose yellow gold for their engagement ring? Actresses Halle Berry, Jennifer Aniston and Olivia Wilde all opted for a yellow gold engagement ring in recent years. Pure yellow gold is actually a very soft metal, so in order to be used and worn as jewelry, it is necessary to mix it with another type metal – normally copper, silver, nickel, or zinc. If just pure yellow gold were used, the ring would soon be dented and misshapen. The higher the karat—the amount of yellow gold—used in the metal, the warmer the yellow tone and the higher the price. 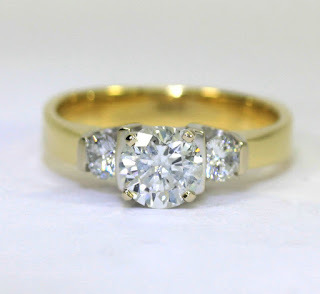 Pure yellow gold is 24 karat, while most engagement rings are either 18k (75% gold and 25% alloy metal) or 14k gold (58% gold and 42% alloy metal). For those on a budget, yellow gold can be a good choice, as it offers more flexibility when it comes to the color of the diamond you choose. 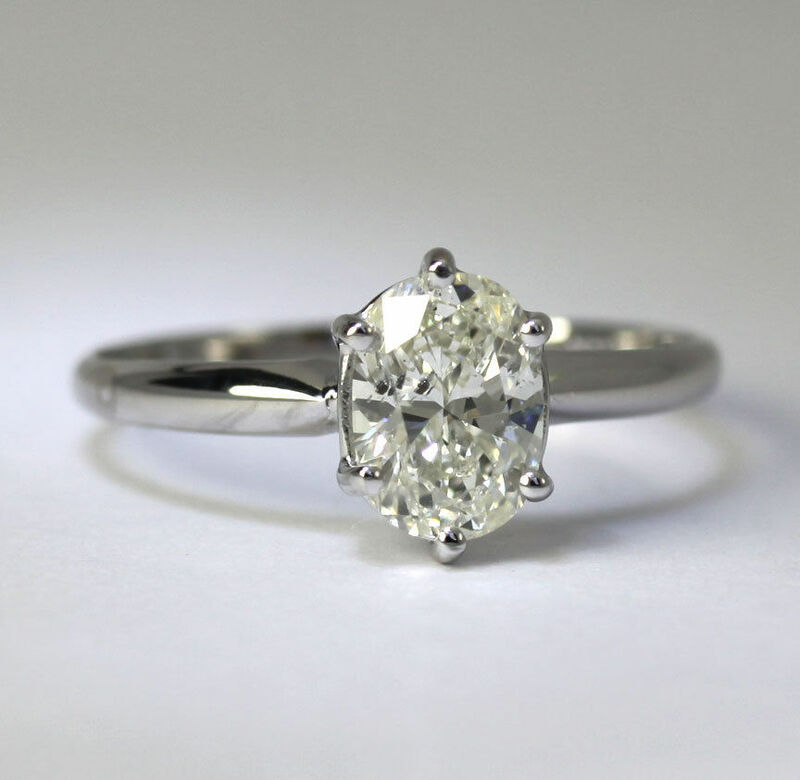 Because your solitaire stone is not being placed next to a white metal, where it may compare unfavorably, it matters less if the color of the diamond you choose is down the lower end of the scale. Several designer engagement ring brands create some truly breathtaking pieces using yellow gold and many relish the opportunity to design something that has a vintage aesthetic. If you're interested in purchasing an engagement ring, visit Adina Jeweler's online eBay store where you'll find GIA certified diamonds, and new and estate engagement rings at true wholesale prices. This month we present you with information about the warm and inviting gemstones of the fall. This season evokes the beautiful colors of the falling leaves. The beautiful oranges, burgundies, and yellows conjure up many feelings and memories of fall leaves, sunsets over the mountains, pumpkins and cornucopias. In celebration of autumn, we take a moment to appreciate some fall-hued gemstones, courtesy of the experts at the Gemological Institute of America (GIA). Citrines are a variety of the mineral quartz crystals commonly found in igneous, metamorphic and sedimentary rocks. Citrines are commonly found in shades of yellow, but they can appear in an orange shade called Madeira. Citrine is the gemstone for the zodiac sign of Scorpio, and the gemstone given for the 13th and 17th wedding anniversaries. In ancient times, citrine was worn as protection against bad skin, evil thoughts, snakebites and even the plague. Mined mainly in Brazil, citrine is often found in larger sizes, due to its affordable price, and it is easy to find. Fancy sapphires are a variety of the mineral corundum, and come in orange, as well as other colors. An especially alluring orange-pink color is called padparadscha, after the lotus blossom. According to GIA gem experts, padparadscha are very rare and range from pastels to more fiery shades of orange. The finest authentic padparadscha sapphires are usually very expensive, on par with their blue counterparts. Sri Lanka and East Africa are two major sources of orange and padparadscha sapphires. Fire opals are known as an anomaly in the gem world. Mined in Australia, opals are usually smoothly polished in a cabochon (domed) shape and are opaque (not see-through). But the fire opal is often found in a fantastic orange color, cut in a faceted manner, and is mostly transparent in better quality facet-grades. Spessartine garnet is one of the most appealing of all the orange-hued gemstones. 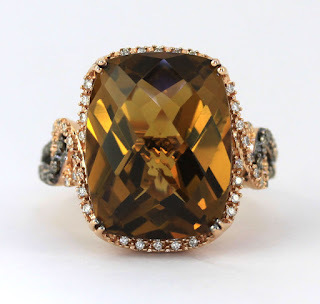 According to GIA’s colored stone experts, it is prized for its bright orange-yellow to yellowish-orange color, with some of the best — and most sought after — examples mined in Southern California, at the Little Three mine, near Ramona. High-quality spessartine has more recently been mined in Namibia and Nigeria. Mandarin garnet is also known as bright orange spessartine. Found in Namibia in Southern Africa, the rich color of the Mandarin garnet makes it a popular choice with orange gemstone lovers. Although relatively inexpensive in small sizes, larger stones—which rarely exceed 10 carats — can be very expensive. Topaz gems are another gemstone found in various colors, including yellow, dark blue, pink, red, and light green, but they truly glow in orange. Fine orange and “imperial topaz” (orange with a hint of red) are among the rarer colors of topaz, and their higher prices reflect their scarcity. This unusual shade is mostly found in Brazil. Whatever type of gemstone you prefer, keep in mind that there’s no right or wrong when choosing. 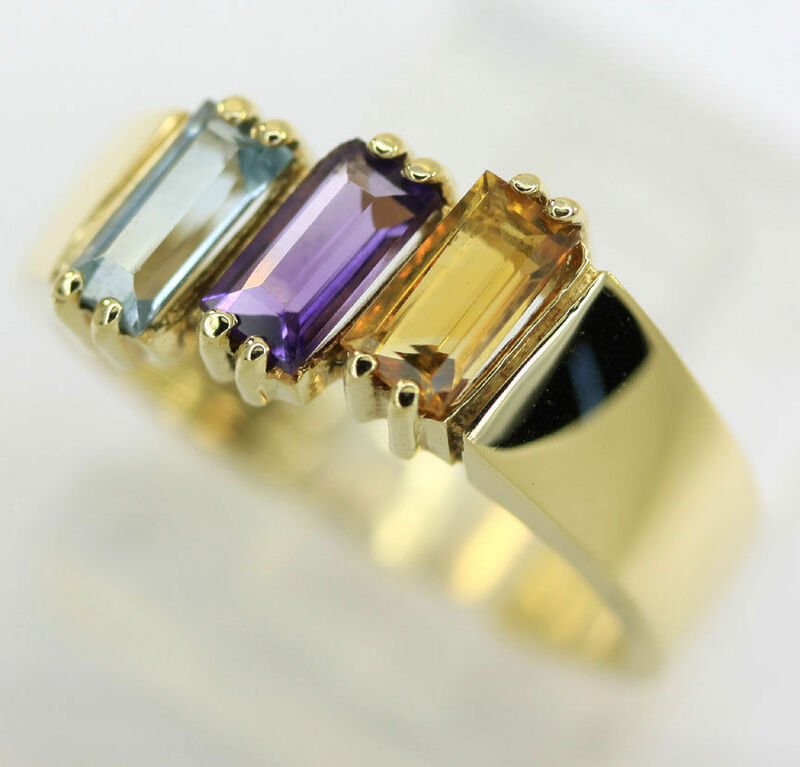 The important thing is to do your research on the particular gemstone that you like, and look for a jeweler. Make sure the appraiser is educated by the GIA (Gemological Institute of America), ensuring professional expertise in the valuation of our fine gems and precious metals. Also make sure the pawn shop or jewelry store is a member of the National Pawnbrokers Association. If you are looking to update your jewelry wardrobe for the season, or to purchase fine jewelry as holiday gifts, you'll find fine estate, vintage and antique jewelry visit Adina's eBay store. You'll discover authentic fine jewelry at true wholesale prices, authentically appraised by GIA-trained experts. It has been 20 years since the passing of Princess Diana, and her legacy is remembered by the world as strongly today as it was two decades ago. Kept forever in our hearts for her humanitarian efforts and grace, her style was also influential in fashion as well as jewelry. Case in point was the unusual choice of her engagement ring. In 1981, Princess Diana chose the ring for her engagement to Prince Charles. She was criticized at the time for choosing a ring that “anyone could buy” instead of having one custom made. But Lady Di had an eye for style, and replicas of the ring were quickly in demand, as they are again today. The royal ring was originally purchased in 1981 from the catalog of the historic British jeweler, Garrard, for 28,000 British pounds ($65,000 USD). 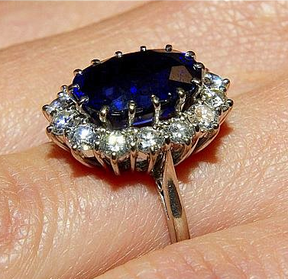 Today, the ring is said to be worth about half a million dollars, with the sapphire alone worth $300,000. Princess Diana liked the ring so much that she even wore it after her divorce from Charles. The royal engagement ring is a deep blue oval sapphire — estimated at 12 carats — encircled by 14 round diamonds set in 18K white gold. After her engagement, Middleton had the engagement ring resized by the royal jewelers G. Collins & Sons to fit her finger better. She asked them to attach small platinum beads inside the bottom of the ring to make it smaller. When Middleton first showed the ring in public at St. James’s Palace in London, she wore a royal blue dress by Issa that accentuated the blue of the sapphire. Soon after Kate Middleton first appeared wearing the royal ring, demand for replicas skyrocketed around the globe as it did when Diana first appeared wearing it. The National Sapphire Company’s website actually crashed from demand-related traffic and jewelers around the world worked overtime to respond to the demand. Interested in a sapphire engagement ring? Browse Adina Jewelers eBay for a beautiful selection fine sapphire jewelry, at true wholesale prices. For centuries, people have believed in the healing qualities of crystals and gemstones; not surprisingly, as they are among the oldest natural objects on earth. Here’s a quick guide on the healing qualities of 10 popular gemstones. Whether or not you believe in their magical powers, gems are beautiful items with significant meanings. Here’s a quick guide to the healing qualities of 10 popular gemstones, courtesy of eluxemagazine.com. Healing stones, crystals and semi-precious gemstones come from one core source — the Earth. Created from the magma from the Earth’s inner core, these stones have been heated, cooled, and are often amongst the most ancient objects on the planet. Every stone is made up of tiny crystals which are in constant motion, so they do indeed emit an energy signature or frequency. In addition, their striking colors can influence our moods and emotions, so it makes sense that many people believe in the healing energy of gems. Historically, people have had strong connections to gems for many reasons. Evidence of gemstones used for healing has been found as far back as 4 BC. Ancient civilizations such as the Chinese, Egyptians, Sumerians, Greeks, Romans, and more modern shamans and medicine men have used gemstones for healing in multiple ways — they’ve ground them into powders or elixirs, worn, carried or placed them on the body and in ceremonies or rituals. It’s said that rough gemstones, broken or mined from a rock, are most powerful–some healing therapists believe that these can be placed gently on the body to transmit and focus healing energies. 1. Turquoise: Turquoise can be a very powerful stone for protection. It increases inner calmness and eases depression, fears, exhaustion and anxiety. It is a stone for friendship and love. Turquoise has calming effects when speaking in public. It helps us to express ourselves and aids in creative problem solving. This powerful stone also stimulates our intuition and helps in meditation. 2. Amethyst: Amethyst is a very powerful crystal for calming and stress reduction. It is known to calm and bring clarity to the mind, to relieve stress, sooth sadness, anger and anxiety and balance mood swings. It helps us to focus and stimulates motivation, concentration and memory. Amethyst activates our intuitive and psychic abilities, aids in meditation and is said to attract justice. 3. Blue Topaz: Blue topaz is a strong crystal for healing health problems, and aids digestion, fortifies the nerves, balances emotions and stimulates the metabolism. It is known to combat eating disorders. It is also known to increase the general health around the neck and throat area. Blue topaz releases tension, helping one to relax. 4. Crystal Quartz: Crystal quartz is very powerful for healing, meditation, and spiritual growth. It is harmonizing and balancing, and purifies the spirit, mind, and physical body. It can be utilized to bring light and energy into our spiritual bodies. It enhances mental abilities and can be ‘programmed’ and imprinted with any desired energy or information. Crystal quartz is powerful for protection and amplifies positive energy and thought. Due to its power to open up all chakras, it is a great stone for relaxation and also to be combined with other stones, as it amplifies their powers. 5. Moonstone: Moonstone aids in inner growth, strengthens intuition, and stabilizes emotions. It is known as a stone for new beginnings, success in love and business, and good fortune. It promotes inspiration and protects us, especially those of us who are very sensitive. 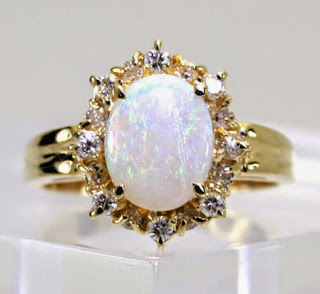 Moonstone is said to perceive that which IS, making it a very personal stone. It is a great aid for meditation and helping us to understand ourselves. Moonstone also soothes stress and anxiety. This beautiful stone is particularly beneficial for women, especially young women, in helping them connect with their feminine side. Moonstone is also said to have the power of making wishes come true. 6. Onyx: Onyx is an excellent stone for stressful or challenging situations as it gives us strength and support. Its soothing qualities alleviate fear and worries and encourage wise decision-making. Onyx is known to increase happiness, intuition and good fortune. It is known to help us change bad habits and keep emotions under control. Onyx helps us to focus and stay grounded. Onyx is also known to help with skin ailments, infections and inflammations. This stone needs to be cleansed and recharged regularly — wash it in salt water or pass it through incense smoke. 7. Rose Quartz: Widely known as the “love” or “heart” stone, rose quartz encourages unconditional love and opens its wearer to all forms of love: self-love, romantic love, family love, and platonic love. Its heart-opening qualities help soothe the nervous system, decrease stress levels and increase happiness, trust, and harmony. Rose quartz stimulates peace, forgiveness, compassion, kindness, inner peace and tolerance. Furthermore, rose quartz heals and strengthens the physical heart and stimulates the circulatory system, increases fertility and protects against radiation. As an extra bonus, rose quartz is said to reduce wrinkles, and is also known to be a protective stone during pregnancy, protecting from miscarriage. 8. Citrine: Citrine is known as the stone of the mind, stimulating the brain, increasing concentration, strengthening the intellect, and increasing psychic powers. It promotes clarity of thoughts, opens the mind to new thoughts, and brings relief to nightmares. Citrine is believed to invite wealth and prosperity into your life. Due to its qualities that bring abundance, citrine has been called the “Lucky Merchant Stone” and business owners place it into their cash drawer to increase sales. Citrine is also known to be beneficial to the endocrine and digestive system, acting as a cleanser and purifier. 9. Amazonite: Amazonite has an extremely soothing quality that helps calm the brain and the nervous system. It brings balance into our life and gives relief to blockages due to trauma or fear. It stimulates integrity, truth, and honor and is said to balance male and female energies. Amazonite increases confidence and strengthens communication skills, helping us to express ourselves. It is a particularly good stone for writers and artists, looking to increase their creativity and self-expression. It is also a great stone to open our minds and help us see both sides of a problem, hence being a great helper in leadership. Amazonite helps us let go of any greed or selfishness, encouraging patience, compassion, and tolerance. 10. Ruby: Ruby is a symbol of vitality, contentment, energy and zest for life. It is said to encourage passion and self-love. By releasing destructive emotional patterns, it helps us to develop more love for ourselves. Through activating passion and life-force, this gorgeous stone helps us to improve motivation and set goals. Ruby is also known to restore life-force and to aid in cleansing and detoxifying the body, blood and lymph system. It also stimulates the heart and reproductive organs. Whether gemstones have healing powers or not, if you're looking for fine gemstone jewelry, look no further than Adina Jeweler's eBay store. You'll find a gorgeous range of fine estate, vintage and antique gemstone jewelry at true wholesale prices. For many, summer is the ideal time to scour yard and estate sales for interesting fine jewelry pieces. There are great finds out there, but it’s sometimes difficult to know what you’re looking at—unless you know what you’re looking at. Here’s an overview of the definitions and differences between estate, vintage, and antique jewelry. In general terms, many people consider estate jewelry to be any piece of jewelry that has been passed down from a previous generation, but it actually refers to any piece of jewelry that was previously owned, regardless of its age. Vintage jewelry has to be at least 20 to 30 years old, and created between 1910 and 1990. 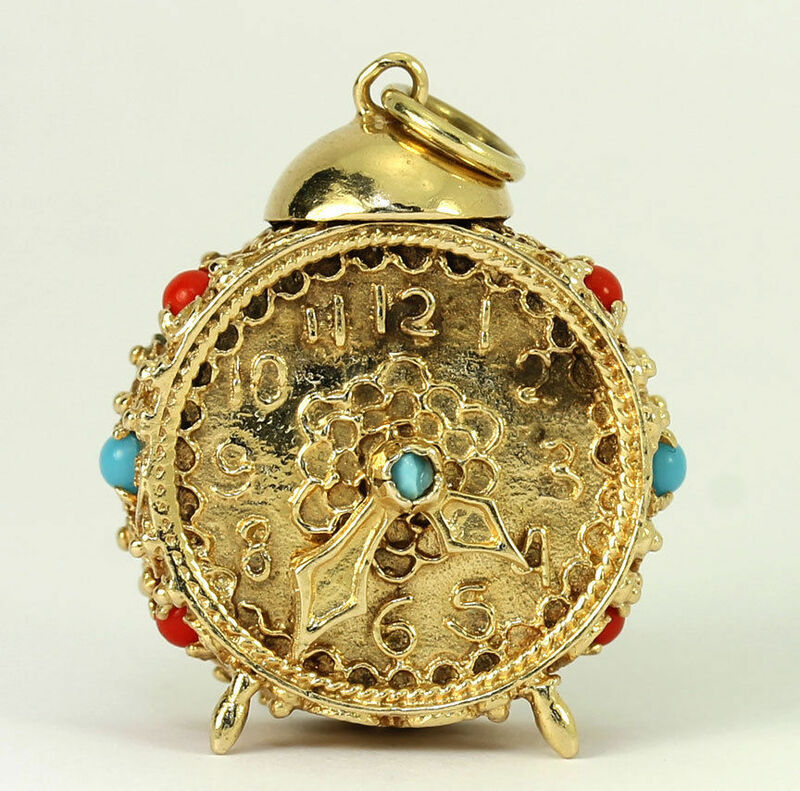 Vintage is probably the most common term of the three, since it encompasses a large collection of jewelry ages. The most commonly collected are vintage pieces from between 1940 and 1970. That includes the glamorous, Hollywood-inspired 1940s jewelry, the fabulous Jackie Kennedy-inspired jewelry of the ‘60s, and even the bold jewelry of the1980s. Jewelry eras within vintage include: Modern, Mid-Century Modern, Retro, and Art Deco. When shopping for antique jewelry, beware of the term “antique style,” which is a tip off that the piece is not really antique, but rather made in the style of older, antique jewelry. 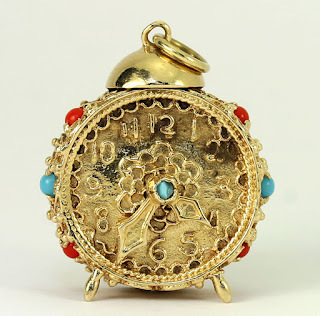 Anytime the word “style” is used when describing a piece of jewelry that appears to be old but there is no other mention of the item's age, this most likely means the item is a reproduction. Many pieces from the 1920s are now considered antique, especially those made in the earlier part of decade. Jewelry eras included in antique jewelry are Art Deco, Edwardian, Belle Epoque, Art Nouveau, Victorian, and Georgian. It’s important to remember that the use of the terms estate, vintage, and antique can be confusing, and in some cases misleading, so it’s very important to understand the differences to avoid accidentally buying a reproduction piece. Of course if you're looking for a less time consuming way to find fine estate, vintage and antique jewelry visit Adina's eBay store. You'll find fine jewelry that's already been appraised by GIA-trained experts at true wholesale prices. Father’s Day is Sunday, June 18. Here are some cool and classic jewelry gift ideas to help show the father figure in your life how you really feel about him. Let’s first start with some history of the holiday. Created in 1910 by Sonora Smart Todd, her idea was to create a day to complement Mother’s Day, which had been established in 1908 by Ann Jarvis. Although it would take almost two decades for the holiday to gain popularity, it eventually took hold, as we still celebrate it today. To really impress the dad in your life, you may want to consider giving a piece of jewelry, such as a watch, tie clip, or cuff links. As jewelry designer David Yurman said, "I've always felt that jewelry is one of the most personal and emotional gifts you can give your loved one.” Men really do appreciate a good piece of jewelry as much as women do, especially if it’s wearable and practical, in addition to being beautiful. A timeless watch – Watches are truly a unique statement about the wearer. If you’re considering giving a watch, take a moment to think about your father’s personality. Is he classic and conservative, or edgy and cool? Is he active and in need of a durable sports watch? Or tech-savvy who will appreciate a smartwatch that is an extension of his iPhone? If so, then consider the Apple Watch Sport or a host of other iOS-compatible smartwatches on the market. Depending on your budget, if his taste leans toward classic styles and higher end brands, a fine watch can become an heirloom that is handed down for generations. Before you spend more than you should, read 6 Things to do before Buying a Rolex. A unique necklace — Like a watch and most pieces of jewelry, a necklace should really speak to your father’s personality and taste. Consider a pendant that reflects his personal beliefs, likes and interests. Is he a religious man? How about a nice gold cross or pendant with the Hebrew Life sign? Or a guitar if he’s a musician; or maybe a dog tag proclaiming your love for him. There are some unique options out there, including a Batman logo with the saying, “You are my superhero.” Take time to investigate and you’ll be sure to find the perfect piece. A pair of classic cufflinks — Few pieces of men’s jewelry say class and elegance like a pair of gold or silver cufflinks. Prices range widely for cufflinks, so don’t be intimidated. A basic pair of stainless steel cufflinks generally starts around $20.00 and increase into the thousands, depending on the metals and gemstones attached to them. Go the extra step and have them monogrammed with your father’s initials. Whatever you decide to give to your dad on Father’s Day, remember that time is the most precious gift of all, so if you can, spend Father’s Day with your dad doing something he likes. Or take time to reminisce and remember him with family. Happy Father’s Day to all the dads out there! Planning on buying a diamond engagement ring? This can be an intimidating task if you don’t know how diamonds are rated and valued. Here’s a review of the 4Cs—cut, color, clarity and carat—as well as some other diamond buying tips to help you feel confident when you browse and buy. In the 1940s, the Gemological Institute of America (GIA) created a universal rating system to standardize the diamond rating process, and ultimately protect consumers from getting ripped off. Known as "the 4Cs," the GIA International Diamond Grading System™ is the jewelry industry standard to objectively evaluate, compare, and rate diamonds. Carat—the standard unit of weight. The word carat derives from carob seeds because early gemstone appraisers used carob seeds as counterweights on their scales. One carat weighs 0.2 grams, and one carat is equal to 100 points. Therefore, a quarter carat weighs 25 points, a half carat weighs 50 points and a three-quarter carat weighs 75 points. It takes about 142 carats to equal one ounce. A fraction of a carat can mean a big difference in the value of a diamond, so precision in measuring is crucial. Carat weight is often measured to the hundred thousandths of a carat, and rounded to a hundredth of a carat. Note: Diamond carat should not be confused with gold karat, which refers to gold purity. Color—colorless is more valuable. Diamonds are valued by how closely they approach colorlessness: the less color a diamond has, the higher its value. The exception to this rule are the rare colored diamonds—known as "fancy" colored diamonds—which are growing in popularity. Most diamonds sold in retail stores are near colorless to faint or light brown or yellow. The Gemological Institute of America's universal color scale starts at D, representing colorless, and goes through Z and beyond to the fancy and vivid colors. The higher the letter, the more presence of color in the diamond. Clarity—a diamond’s internal and external flaws. Blemishes are external flaws, and inclusions are internal flaws. Inclusions are created when the diamond is formed, or when the diamond is cut. Because 100 percent "perfect" diamonds are very rare in nature, those with fewer blemishes and inclusions are rarer and cost more. The GIA International Diamond Grading System™ Clarity Scale is the standard clarity grade scale, and contains 11 grades. Diamonds are assigned a clarity grade ranging from flawless (FL) to diamonds with obvious inclusions (I3). Most diamonds are graded in the VS (very slightly included) or SI (slightly included) categories. To determine a diamond's clarity, appraisers using the GIA Clarity Scale consider different variables, including the diamond's size, nature, position, color or relief, and quantity of clarity characteristics visible under 10X magnification. Cut—rates characteristics of shape. The GIA system rates a diamond’s cut using five grades: Excellent, Very Good, Good, Fair, and Poor. The system considers factors such as brightness, fire and scintillation, weight ratio, durability, polish, and symmetry. The cut of any diamond has three attributes: brilliance (the total light reflected from a diamond), fire (the dispersion of light into the colors of the spectrum), and scintillation (the flashes of light, or sparkle, when a diamond is moved). Most diamond jewelry uses the standard round brilliant shape. All others are known as fancy shapes, and include the marquise, pear, oval, and emerald cuts. Diamond shapes such as hearts and triangles are also gaining in popularity. Understanding the cut, color, clarity, and carat of a diamond is important, but when it comes down to it, choosing the right diamond is also subjective: how you feel and what you like. Don’t just focus on the GIA rating—go with a diamond that looks beautiful to you—or better yet, your mate will appreciate—and is in your budget. Make sure you know the person’s taste and ring size, as well as the jewelry store's return policy. If you’re looking to buy a diamond engagement ring, but don’t want to pay retail prices, visit Adina’s eBay store. You’ll find fine a vast selection of fine certified diamonds and get a buying experience that’s above your expectations from where the reliable diamond experts at Adina Jewelers. The company reported that the 404.2-carat stone is the 27th largest recorded diamond in the world, and the biggest diamond ever discovered by an Australian mining company. It also is the fourth 100-plus-carat diamond to be recovered from Lulo to date, as well as the 114th largest “special” diamond--meaning it weighs more than 10.8 carats--recovered from the mine. 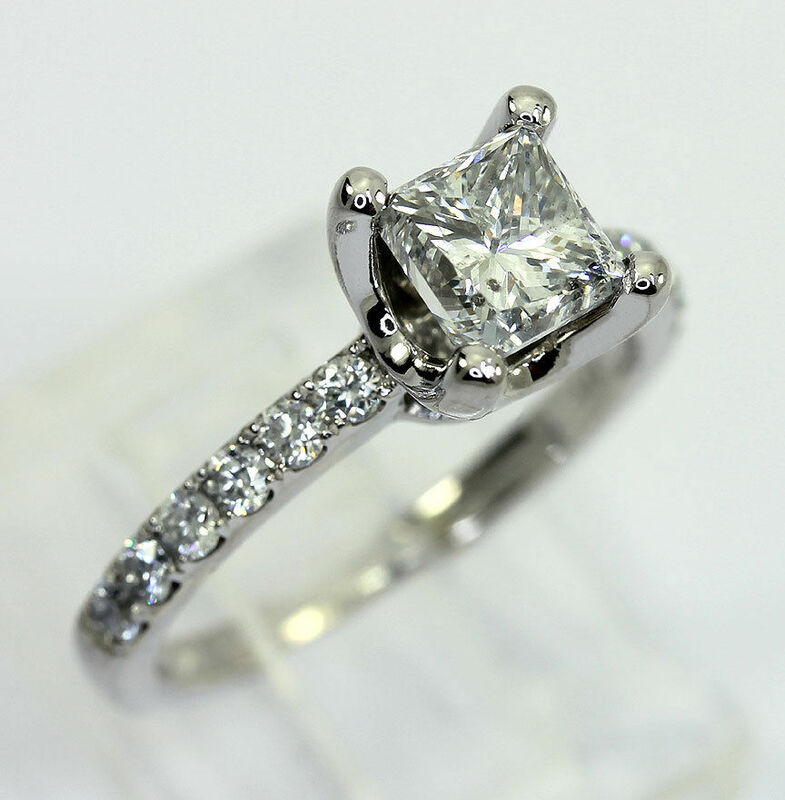 If you're looking for a diamond but don't want to pay retail prices, visit Adina’s Ebay store where you can rely on the diamond experts at Adina Jewelers. You'll find fine a vast selection of fine certified diamonds and get a buying experience that’s above your expectations. 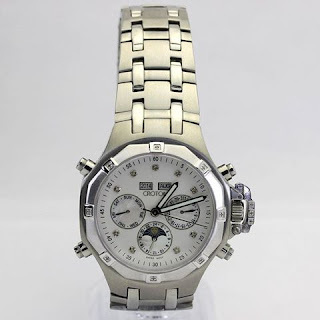 Are you looking for a watch? 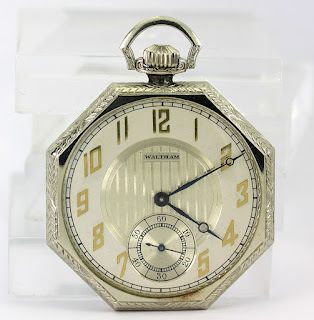 How do know an estate watch's value? With the growing trend of wearing wrist watches again, many are looking at estate, vintage or antique watches. If you’re looking to find out how much a watch is worth, there are a number of factors that go into evaluating it. Here’s an overview of what makes a watch valuable. Then, do some research online to find a reputable jeweler with a specialty in fine watches and ensure it comes with an accurate appraisal. If you're in doubt, get an appraisal by a professional jeweler who specializes in watches who will provide you with the most accurate estimate of what your watch is worth. 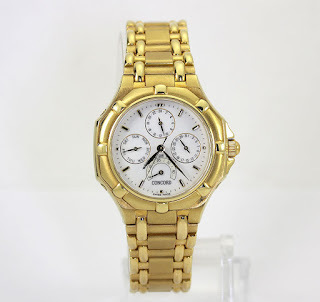 If you're looking to buy an estate, vintage or antique watch, shop with confidence at Adina’s Ebay store where you can rely on the experts at Adina. You'll find fine a vast selection of fine watches at true wholesale prices and deliver a buying experience that’s above your expectations. If you're in the market for jewelry, it's best to pick up some tips from the experts before you buy online. With faster Internet speeds and increased e-commerce security, buying jewelry online has steadily increased by the year. Falling diamond prices and high numbers of jewelry store closures have contributed to the trend.